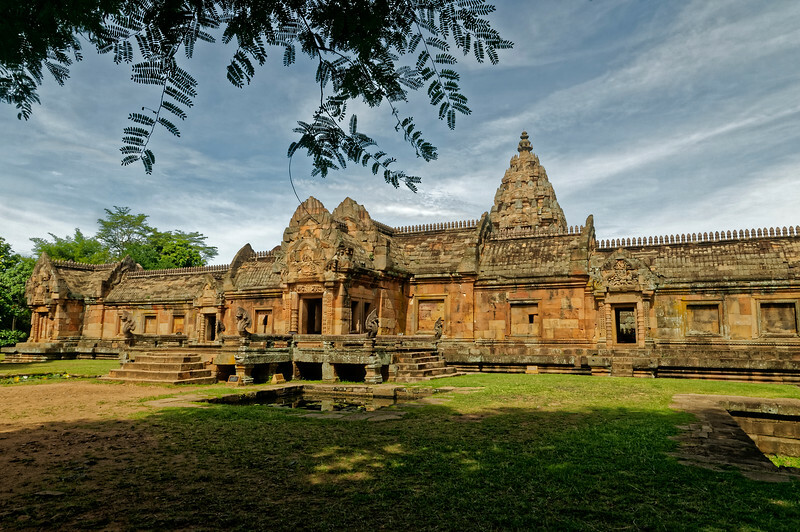 Prasat Phanom Rung, a Khmer temple in Isaan's Buriram Province, is sited atop an extinct volcano that had been a place of Hindu worship from at least the 8th century AD. 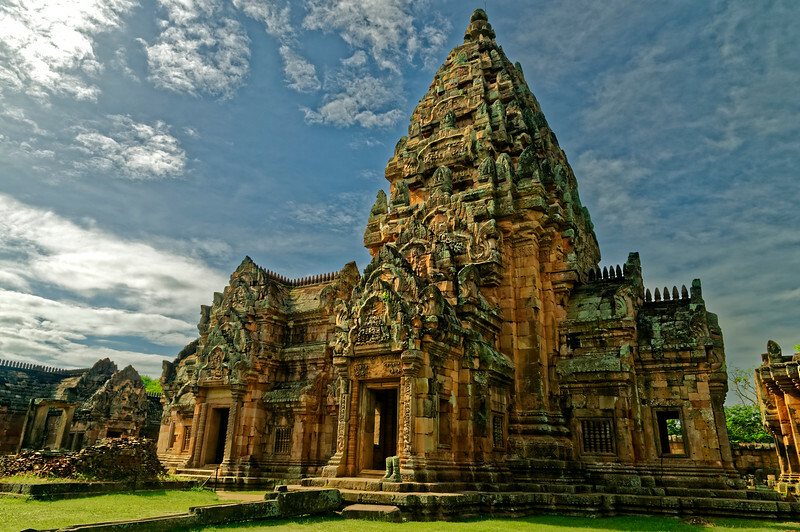 Built over a period spanning the 10th to the early 13th century, the temple was dedicated to the Hindu deity Shiva. 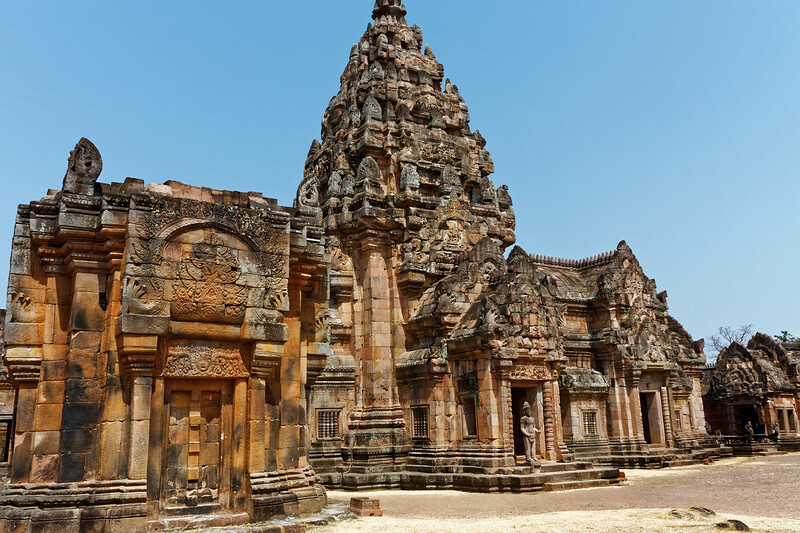 The photos of the temple are in two separate galleries for the sake of convenience when viewing them on mobile devices. This gallery has pictures in a horizontal (or landscape) format; the other has vertically-oriented photos. 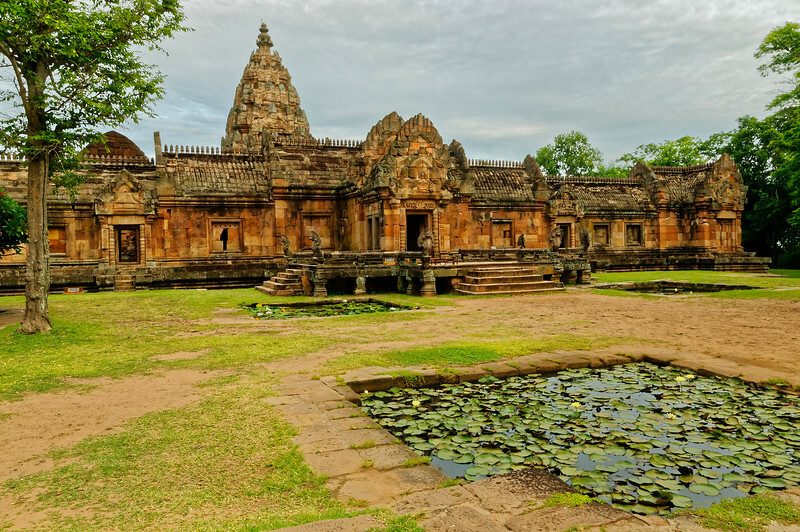 To get a reasonably complete picture of the temple, both galleries should be seen. 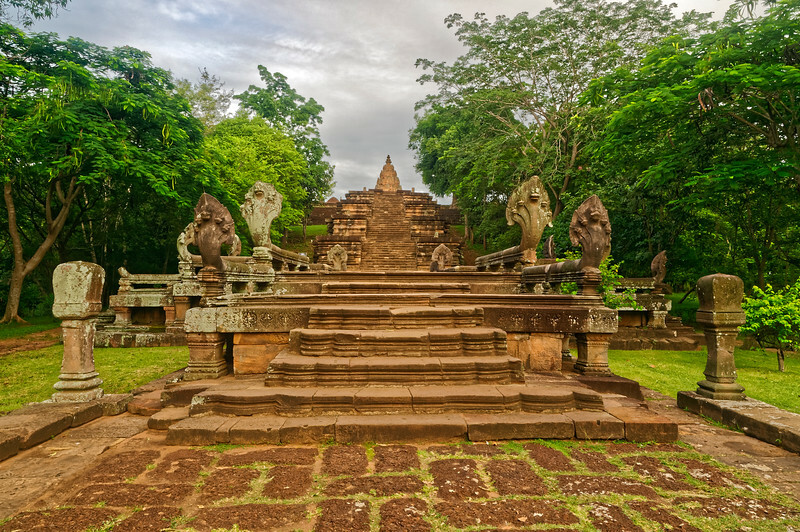 Access to the temple is via multiple series of steep, shallow steps that lead to the summit of a hill overlooking a 175-yard-long causeway, which in turn leads to a bridge guarded by naga. Multi-headed snakelike creatures, naga are guardians of the earth's waters. However, they are also seen as emblems of the rainbow and thus as links between the earthly world and that of the gods. 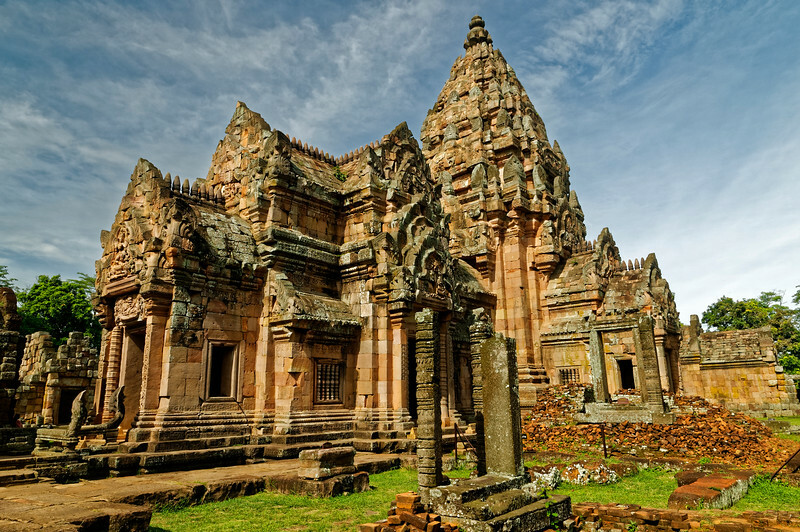 In accordance with Khmer temple tradition, the main entrance to Phanom Rung faces east. Four small pools located at the corners of the terrace symbolize the cosmic ocean on which the universe rests. A portion of the south gallery, with the central tower in the background. The galleries enclosing the central sanctuary were meant to symbolize the Himalayan mountain ranges surrounding Mount Kailasa in Tibet—the dwelling place of Shiva in Hindu tradition—as well as those that encircle the mythical Mount Meru of Hindu cosmology. 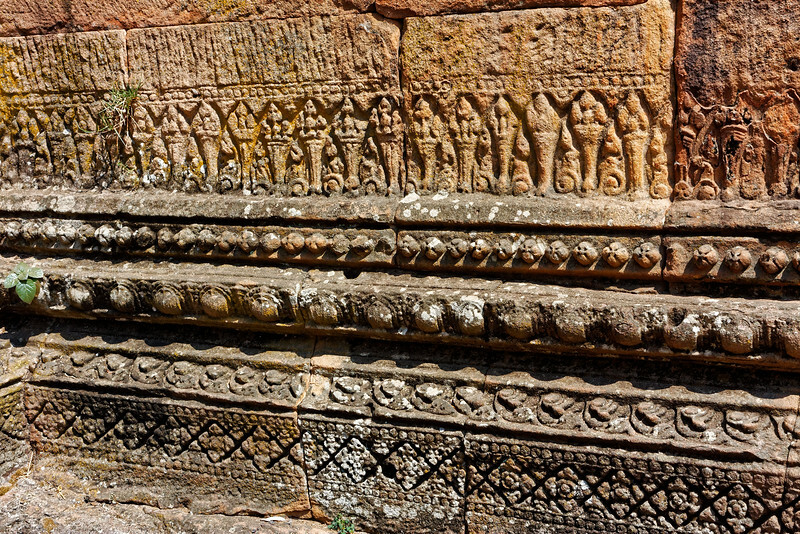 The pediment above the doorway of the cruciform gopura or entry pavilion shows the meditating Shiva. 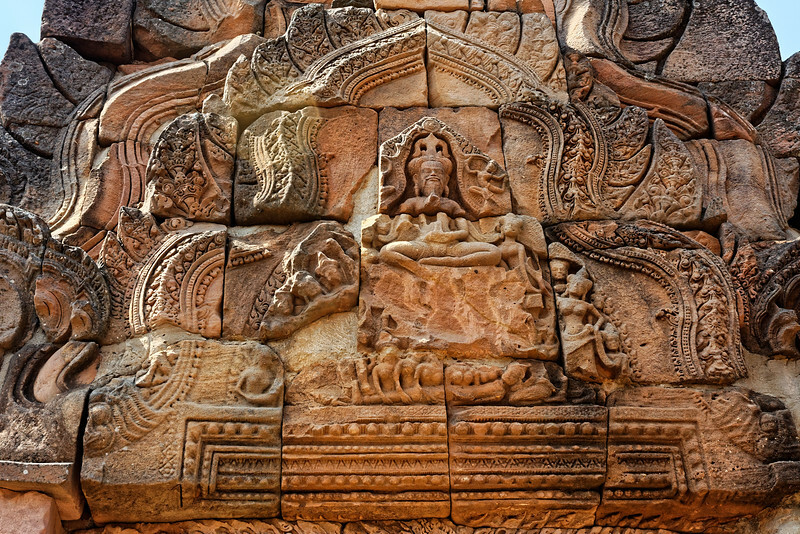 On the lintel, Indra is shown seated on a kala demon, a threshold guardian. 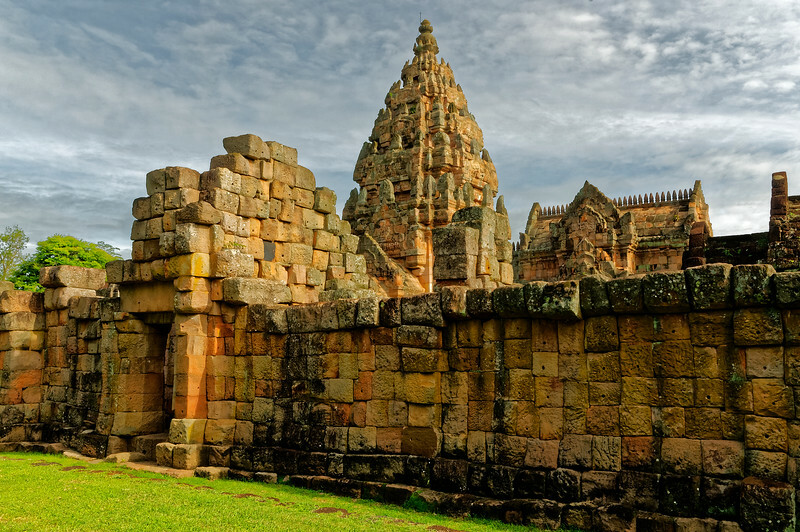 The meditating Shiva, the Great Hermit or Ascetic, is just one aspect of the multifaceted god, whose origins may be traced back to a variety of earlier religious cults. Inside the inner sanctuary, with a view of the south side of the central tower and attached structures. 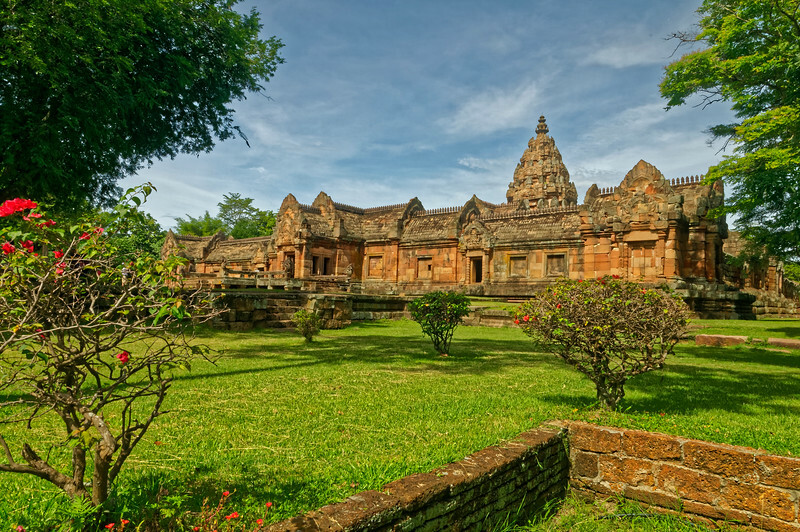 The building in the left foreground is the smaller Prasat Noi sanctuary, dating from the late 11th century. It is not known if its superstructure collapsed and was lost or if in fact it was never built. 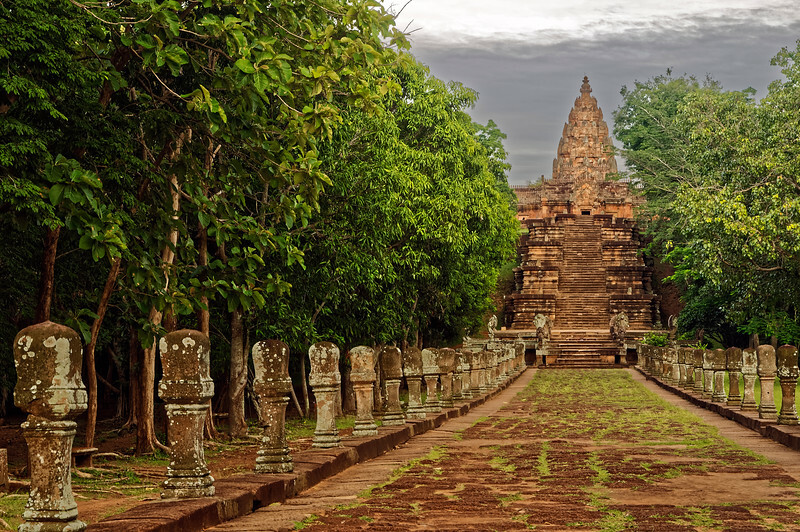 The mandapa is a structure that serves as entry to the central tower and is linked to it via a connecting vestibule. 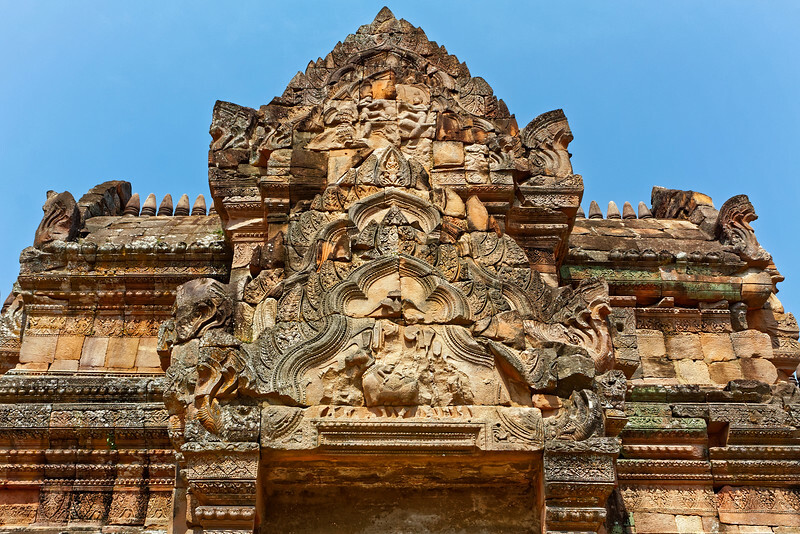 This view of the mandapa shows the pediment over the entry on its south side, with the heavenly bull Nondi, Shiva's traditional mount. 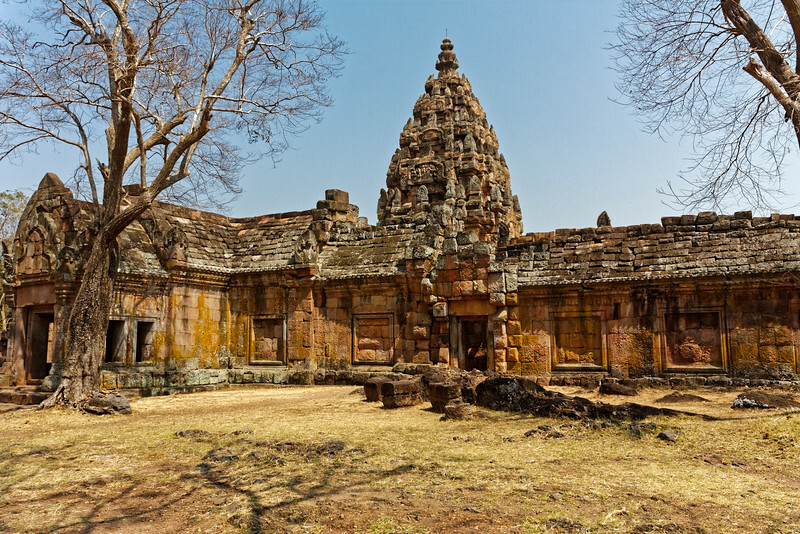 Both Shiva and his consort, Uma, have been lost, as has the lintel below. 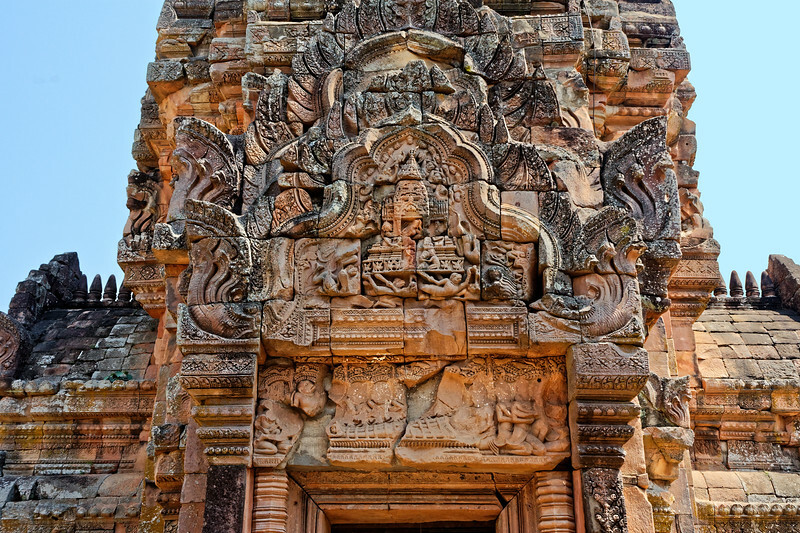 Among the temple's many richly carved elements, the pediment over the south entrance of the vestibule connecting the inner entry pavilion or mandapa to the central tower displays scenes of Sita's abduction by Ravana, from the Hindu classic Ramayana, the source of much of the thematic material used for the temple's decoration. At the very top, she is carried off in Ravana's chariot. 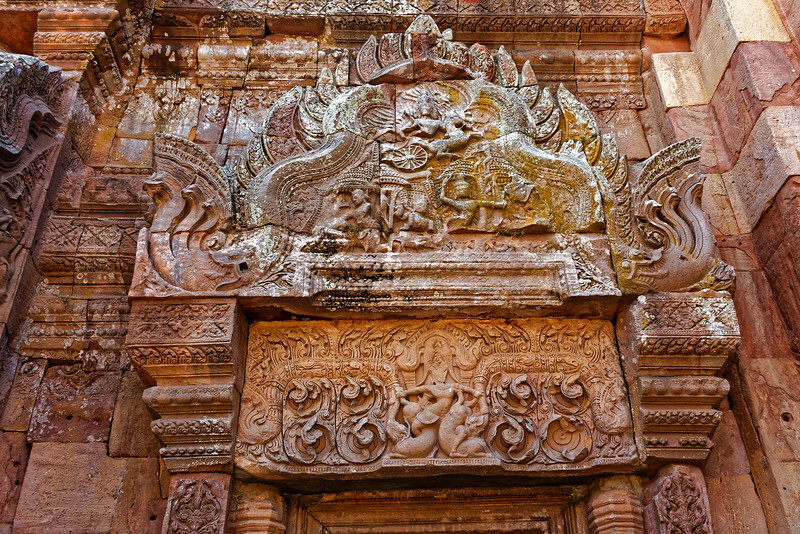 The lintel depicts Krishna overcoming both an elephant and a lion. Above the western entry to the central tower, Sita, Rama's wife, is seen being abducted, as Rama's monkey-warrior allies look on in apparent dismay. 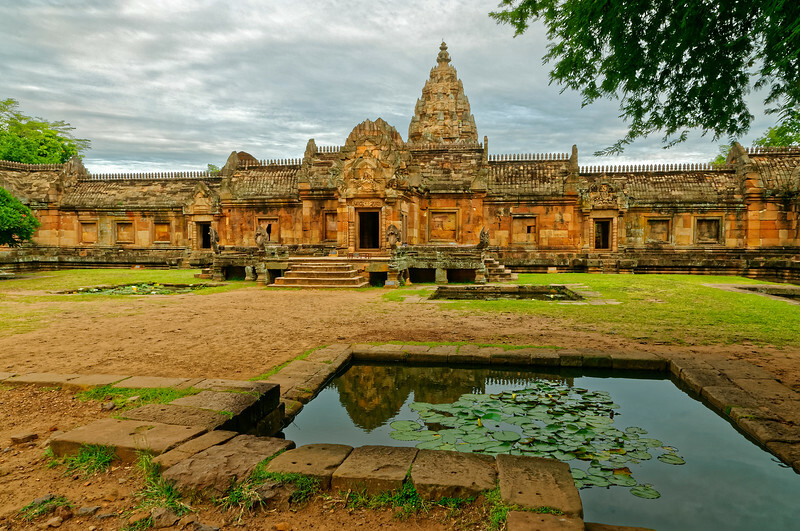 Beneath them, on the lintel, Rama and his brother Lakshmana have been captured, wrapped in the coils of a serpentlike arrow launched by the evil Ravana's son, Indrajit. 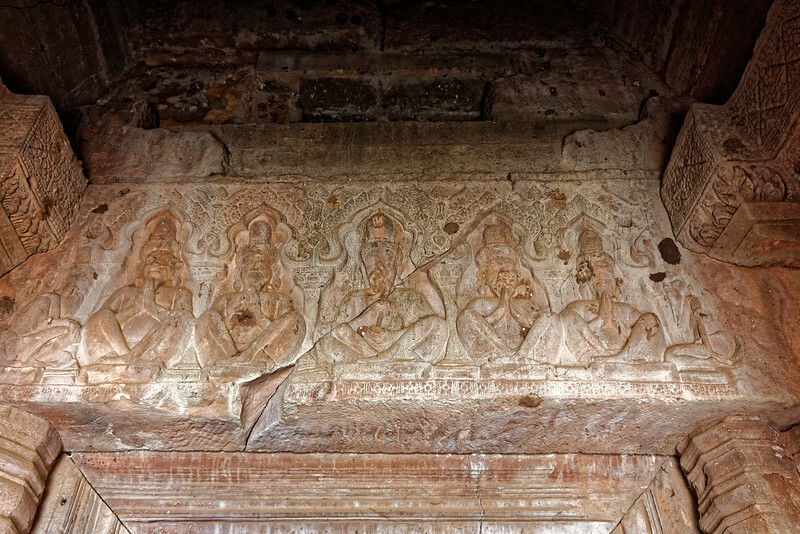 Inside the vestibule connecting the mandapa to the central tower is this carved lintel of five yogis. 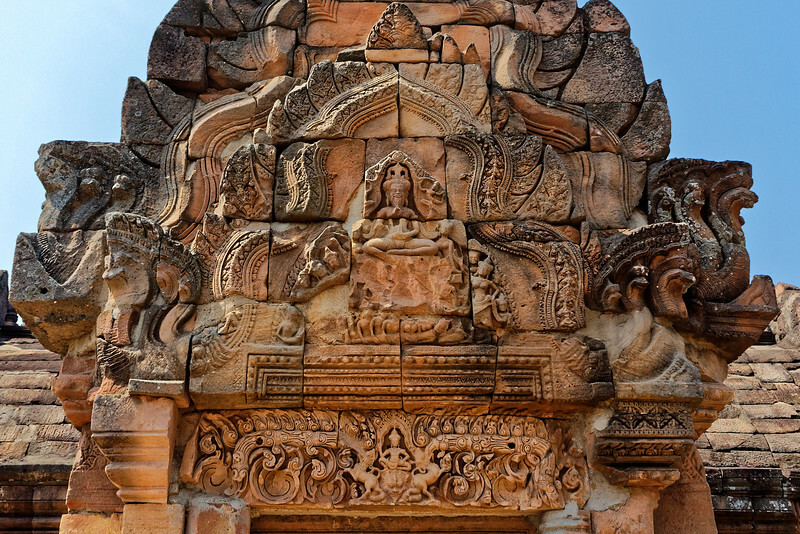 The central figure is thought to be an incarnation of Shiva but may also have been meant to represent Narendraditya, the ruler responsible for establishing the temple. 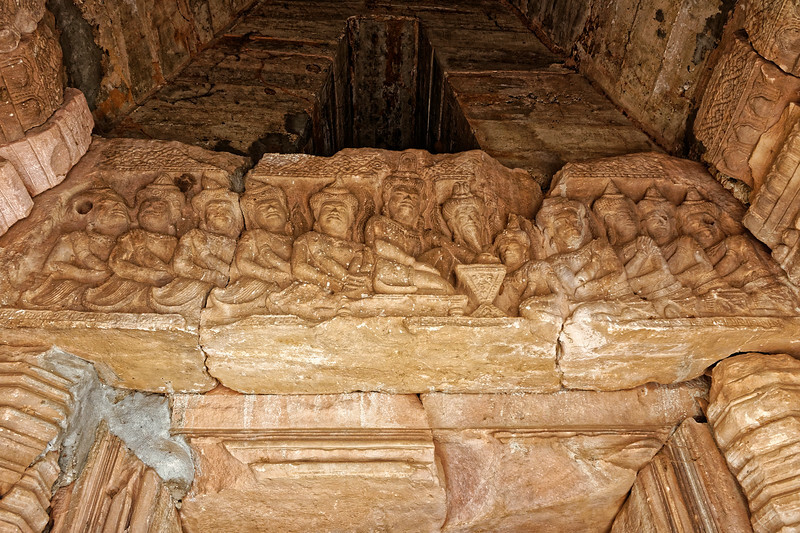 This interior carving is thought to depict the consecration ceremony of Narendraditya, founder of the temple, seen in the middle and surrounded by attendants. The central sanctuary as seen from the north. 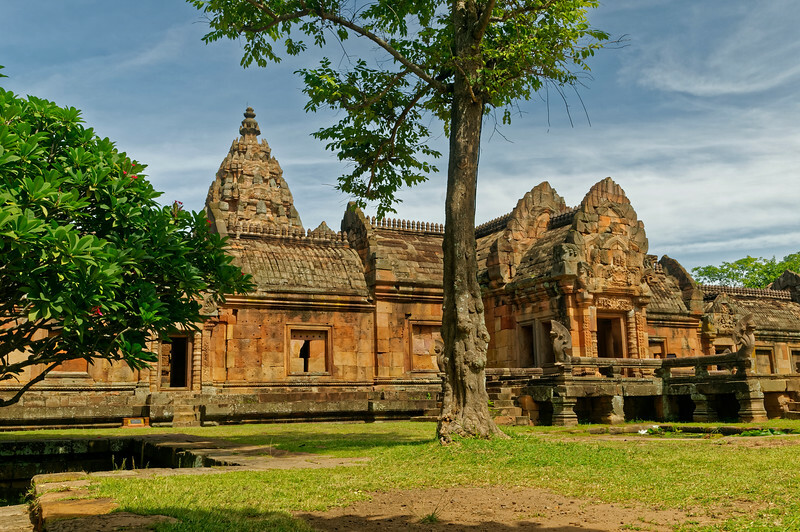 The mandapa or entry pavilion on the east is the structure to the left that is attached to the central tower via an intermediate vestibule. Three other entry porches extend from the tower at the cardinal points.